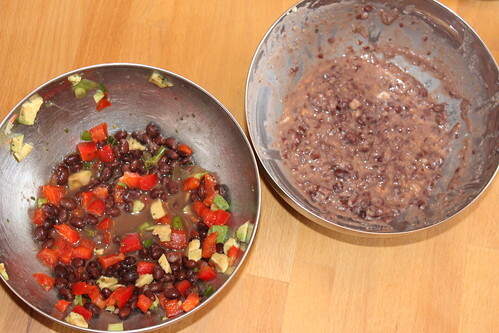 This week we cooked two black bean dishes at the Kids Cook class. Beans of all kinds are high in fiber and protein. The following two recipes are easy for kids to make and enjoy! Mix all ingredients together. Serve with corn chips or celery sticks. Mash beans and salt together with a fork or potato masher. Stir in the rest of the ingredients until smooth. Serve with tortilla chips, pita bread, or carrot sticks. Congratulations to the three winners of the Columbus Home and Garden Show tickets: Jamie, Mimi, and Kellie!